Heyho! I am currently roadtrippin through Germany with my sister, (Expect lots of content) we decided to visit our relatives in cologne and then make our way up to Hamburg, where we are going to stay a couple of days. Then we had back to Austria, via Frankfurt and Munich! I am very excited! I am going to tell you how it was next week! You can expect some good pictures because I have my sister with me, who is a talented photograph! I hope I can bring her to share some with you! 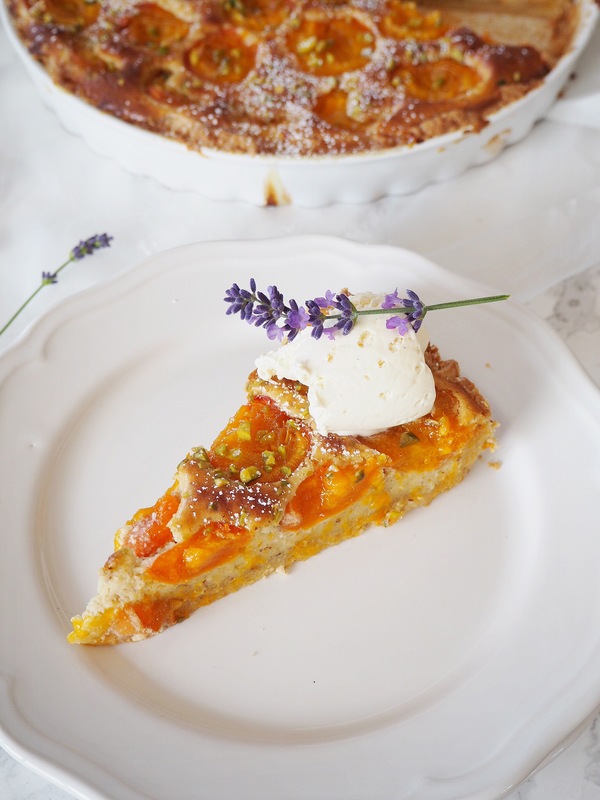 Maybe you think: What the hell has an apricot tart in common with Austria? So let me tell you, this was not palnned, I shot some apricot dumblings for todays post, but my Computer died and I lost all the footage. However currently there is the famous apricot harvest in the North of Austria, so I thought it is okay! Today I bring a very easy and delicious recipe to you, which looks incredible and is made for Summer! A friend of my mum brought us some apricots from the region “Wachau”, where the apricots are really really famous and there are also a lot of parties when the apricots are ready to harvest. Anyway she brought us some apricots and my mum asked me to bake a cake!. Since my mum isn´t feeling to well at the moment and she has a lot of stress with her work, I wanted to make something that looks delicious, but also includes her favourite ingredients and make her feel a little bit better, because in my opinion a good piece of cake can do some real wonders! I baked a French taste with apricots and an almond filling, with pistachios on top. 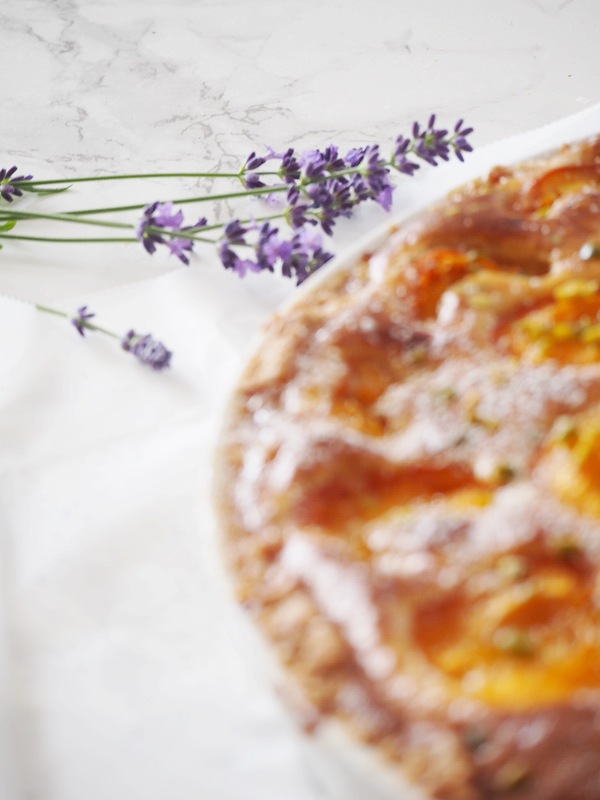 Since I had a similar tarte in the South of France I put some lavender on top to get this “Provencefeeling”! The tarte tasted really really good and you can make it extra special with some pistachio or vanilla ice cream on top. Ah, I forgot to say that you can make this tarte with every other fruit too, plums and apples are especially yummy when it is Autumn! 1. Preheat the oven to 180C. Prepare a tarte tin with some butter or parchment paper. In a mixing bowl put the butter, sugar, egg, cinnamon, and flour and knead until you have a smooth dough. You can now do the professional way and roll your dough, place it in the titans then cut off the edges, or you do my way, where you just press your dough into the tin. Then take some tin foil and place it on the dough, put some blindbaking beans on top and bake for 10-12 minutes. 2. For the filling mix all the ingredients, except for the pistachios until you have a smooth filling. Take your apricots, cut them in half and remove the stone. 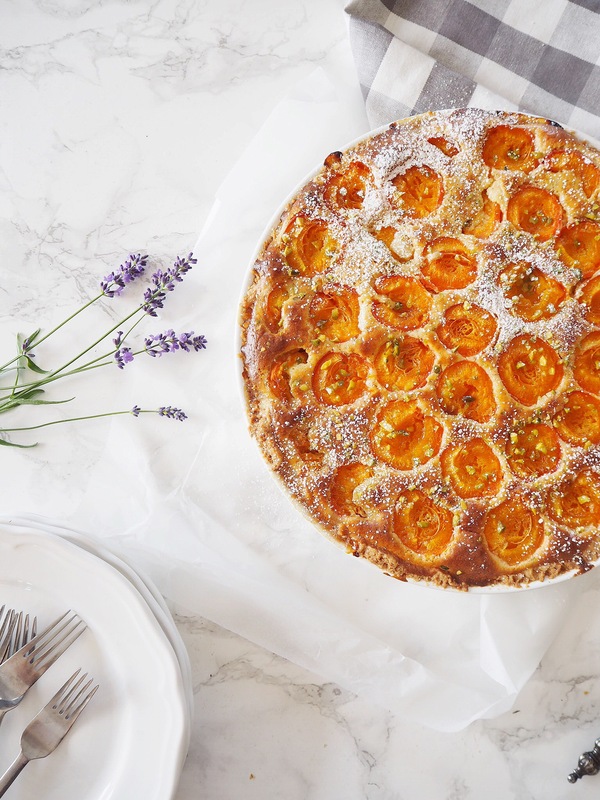 Take the tarte out of the oven, remove the tin foil, pour the filling inside the dough case and then put the apricots on top. Lastly sprinkle the pistachios on top and bake the tarte for 30 minutes. 3. When the tarte is ready, take it out of the oven and let it cool a little bit. 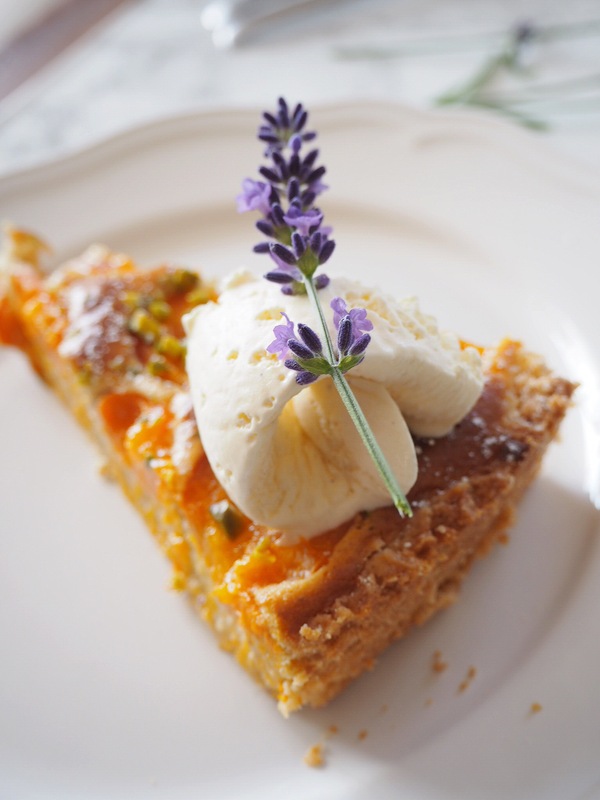 Then you can serve it with some ice cream and garnish it with some twigs of lavender! Now the deliciousness is ready to eat! Enjoy!